Comments: Grows well in outdoor beds and also makes a very satisfactory container plant in areas where it is too cold for outside growth. The rich, orange, trumpet-shaped flowers appear in very large clusters of up to twenty flowers. Used as a ground cover plant in partial shade warm climates. 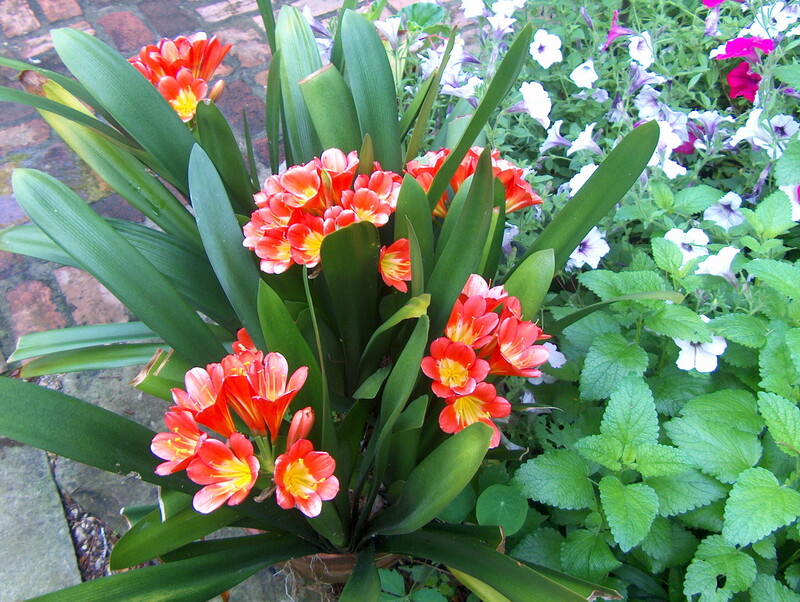 Plants seem to flower best if they are growing in pots that restrict their root growth. Fertilize plants in spring and again in mid-summer with a complete fertilizer. Plants produced from seeds are normally different from the parent plant.